Following today’s Skyped lesson to Pennsylvania, I created a video to reinforce instruction pertaining to the “Minuet in G minor” from the Anna Magdalena Bach Collection. This composition is attributed to Christian Petzold. My adult student wanted to study this piece which has challenging Baroque-style phrasing and articulation. 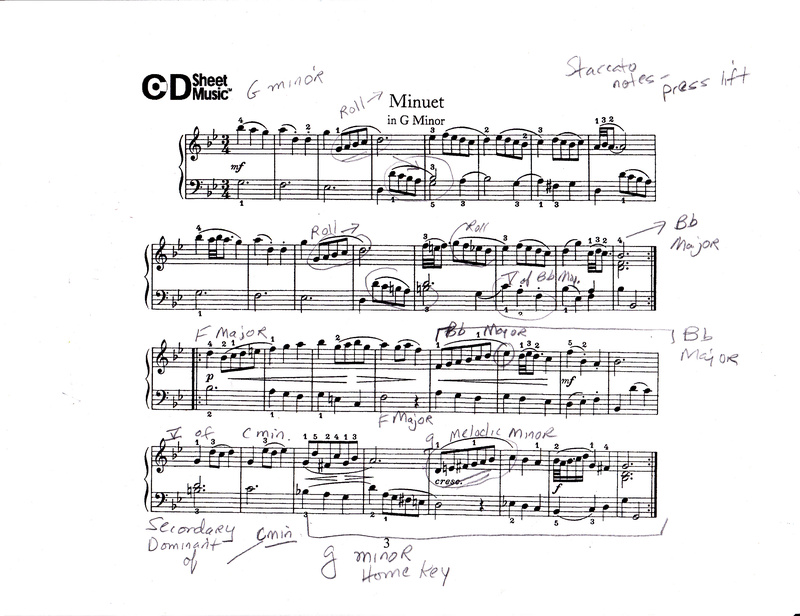 As it played out, related choreography was woven into the pupil’s Dozen and Day “Walking and Running” five-finger position warm-ups that were extended to 32nd notes in legato/staccato. Video supplements allow the student to revisit parts of her lesson and improve the quality of practicing during the week. These are uploaded on You Tube as UNLISTED or can be marked PRIVATE if requested.